Aert van der Neer was born in Gorinchem in 1603. 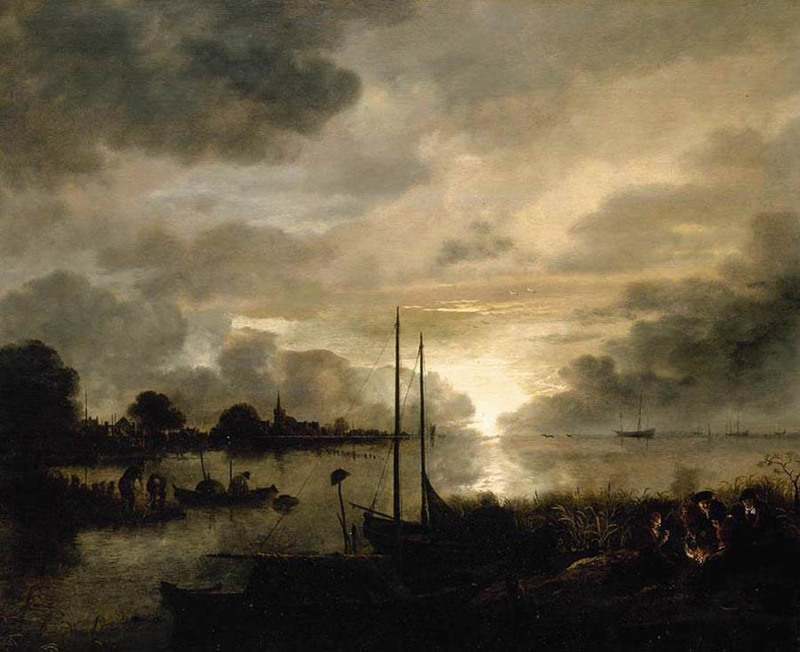 Also Joachim Camphuysen was born in 1603 in Gorinchem. From 1632 Van der Neer lived in Amsterdam. There, he was not only a painter but a wine merchant as well until he went bankrupt in 1662. 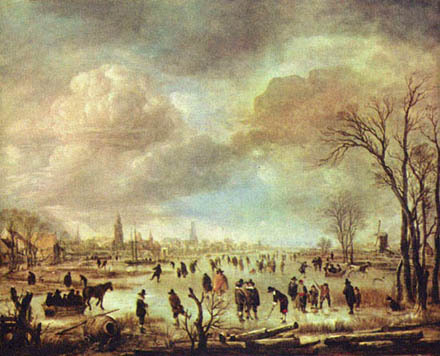 Van der Neer became famous for his nocturnal landscapes and his winter scenes. His paintings can be found all over the world in many well-known museums. 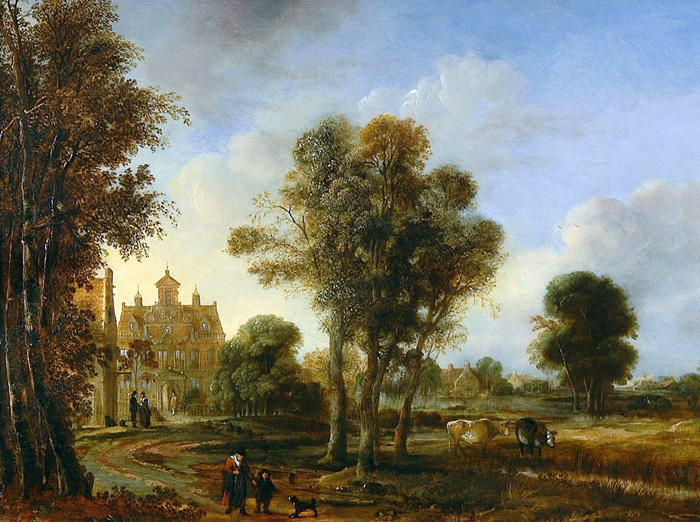 The Gorcums Museum has a beautiful painting of a summer landscape with mansion.